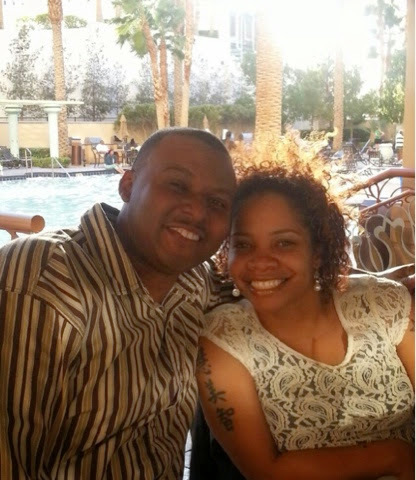 Patrice and Anthony Allen met while serving our country in the Army. They had an instant connection! The connection was so strong that within 6 months of meeting each other they were married. They said "I Do" on October 24, 2001.
v Patrice, what qualities did you see in Anthony that made you want to marry him? His sense of humor. v How do you keep the romance going? What are some things that you enjoy doing as a couple? We never stopped dating after we got married. We have date night faithfully and do a lot of traveling together. v What is your favorite part of marriage? That we laugh together. v What is the most important aspect in a marriage to make it successful? Never assume an issue is solved because no one is talking about it. Always seek to solve the problems and get closure. v Life often throws many curveballs, and those that make it through those tough times stay together. How have you dealt with stressful times that arise? We learned early in our marriage not to try to “fix” what the other person may be going through, but to listen! v Marriage isn't always a cakewalk. What advice can you offer newly engaged couples when disagreements occur? Listen to what the person is saying. Just because you’re talking about dishes, does not necessarily mean it’s about dishes. Don’t be afraid to ask the hard questions. v What do you see as the strengths of your marriage? We accept one another for where we are and don’t try to change one another. v Anthony, what do you LOVE about Patrice? I love Patrice’s personality. She’s strong enough to lead, but vulnerable enough to cry on my shoulder. v Patrice, what do you LOVE about Anthony? Because I did not have a father growing up, it’s a blessing to see Anthony with our children and how he loves them. v What advice would you give newlyweds? Never stop talking, keep dating, and stay uncomfortable (meaning don’t sleep on the real issues).